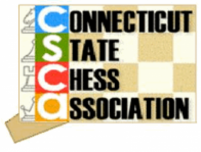 The Connecticut State Chess Association (CSCA) is a statewide sanctioning, service, support and membership organization, staffed by a volunteer Board of Directors, working for the benefit of Connecticut’s chess community to promote chess in CT. The CSCA is Connecticut’s affiliate chapter of the United States Chess Federation (USCF), which is the national sanctioning body for chess tournaments, and a primary general chess resource. As a USCF state chapter, the CSCA derives the exclusive authority and mandate to conduct particular activities and sanction certain chess events in Connecticut (e.g. : statewide championships). Public information is a top CSCA priority. Historically, mass mailings, selective distributions, press releases and other traditional means have been used to inform known chess players and the general public about available chess clubs, upcoming chess tournaments, etc. In keeping with the times, recent years have found the CSCA making its presence known on the internet, via the world wide web and the new e-mail message alternative. Efforts are being made to computerize some of our operations and archives. 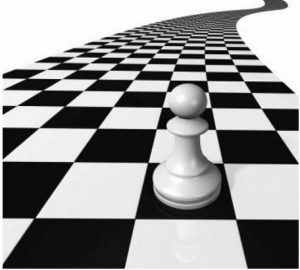 Accordingly, we are always very pleased to hear from computer- users interested in making a difference for area chess through service with our Board of Directors (definitely not a requirement, since many of us are non-users). We encourage promising chess initiatives, worthy chess programs and exceptional chess activities with funds acquired from the USCF, member dues, and other sources. Working members can also provide free consultation and referrals. Membership in the CSCA is open (you don’t even have to be a Connecticut resident). The only requirement is a $5 yearly contribution, which (as it is applied to crucial operating expenses) helps sustain state-level resources, events and promotions, and secures national representation for area chess players. Members can play in sanctioned tournaments, receive informational mailings, and elect their CSCA representatives at the Annual Membership Meeting. We hope you agree: that’s a good investment. Join us!